President Trump tweets "Americans deserve a healthcare system that takes care or them, not one that takes advantage of them"
The American people deserve a healthcare system that takes care of them â€“ not one that takes advantage of them. We will work every day to ensure all Americans have access to the quality, affordable medication they need and deserve. We will not rest until the job is done! President Donald Trump announced his decision to withdraw from the Iran deal on Tuesday, keeping his campaign promise to end the agreement reached by former President Barack Obama. The Iranians Never Signed Obamaâ€™s Deal! Is it right ? is it worth it ? Sixty-nine years after Israel declared Jerusalem as its capital, and 23 years after the US Congress passed a law mandating that Washington move its embassy there, the US formally opened its embassy in the city on Monday afternoon, in a move Prime Minister Benjamin Netanyahu called "courageous" and "momentous. The major American broadcast networks declined to carry live Israeli prime minister Benjamin Netanyahuâ€™s address to a joint session of Congress boycotted by many leading Democrats Tuesday, and early reaction to the speech in Hollywood seemed to signal a growing disenchantment with the Obama administration foreign policy, particularly the ongoing nuclear negotiations with Iran. Counterespionage debriefing reveals how Israel targeted U.S. The newly released FBI files detail how Richard Kelly Smyth â€” who was convicted of running a U.S. front company â€” met with Benjamin Netanyahu in Israel during the smuggling operation. At that time, Netanyahu worked at the Israeli node of the smuggling network, Heli Trading Company. This was sort of expected - need to document the release (SOON into Israel ) of Pollard: Thx ObaMA! WASHINGTON â€” He was spirited out of a federal prison on Friday under cover of night, eluding witnesses in a cloak-and-dagger coda to a spy story that has strained relations between two allies for three decades. But while Jonathan J. Pollard, one of the most notorious spies of the late Cold War, tried to stay out of sight after emerging from custody almost as if from a time machine, the United States and Israel hoped his release would finally heal a long-festering open wound in their partnership. For 30 years, Mr. Pollard was at the center of a profound struggle between Washington and Jerusalem, one that shadowed American presidents and Israeli prime ministers since Ronald Reagan was in the White House. 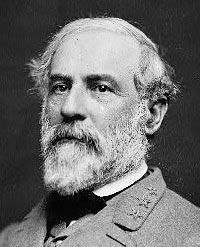 The Americans called him a traitor. The Israelis deemed him a soldier, to some a hero. At times, both made him a diplomatic bargaining chip. The only American ever sentenced to life in prison for spying for an ally, Mr. Pollard was freed on parole to an uncertain future. After ducking cameras outside the prison in North Carolina, he was spotted hours later in New York, where his lawyers went to federal court to challenge the terms of his parole, including an ankle bracelet to monitor his movements. Mr. Pollard remained under parole conditions that he and his supporters consider to be onerous. Under federal rules, he cannot leave the country for at least five years without permission, and the White House repeated on Friday that it would not intervene to let him move to Israel, as he has requested. As a student at Stanford University, it said, he fantasized about being a Mossad agent. Rejected from a C.I.A. fellowship, he went to work for the Navy as a civilian intelligence analyst in 1979, earning a reputation as â€œa capable â€” if eccentric â€” scholar and intelligence analystâ€� with â€œsignificant emotional instability,â€� according to the damage report. In June 1984, he began passing suitcases of classified documents to Israeli handlers, including information on Arab and Soviet weaponry as well as satellite photographs. A manual he gave handlers provided a guide to American signals intelligence, media reports said. He was paid tens of thousands of dollars and given jewels and foreign trips. In the end, Mr. Obama made no move to release Mr. Pollard early, but did not object when the United States Parole Commission decided to let him out after 30 years. In Israel, Mr. Netanyahu sought to avoid celebrations that would provoke the Americans, but some could not resist. â€œA free man!â€� Ayelet Shaked, the hawkish justice minister, exulted on her Facebook page over Mr. Pollardâ€™s photograph. On June 27, 2012, the FBI partially declassified and released seven additional pages [.pdf] from a 1985â€“2002 investigation into how a network of front companies connected to the Israeli Ministry of Defense illegally smuggled nuclear triggers out of the U.S.* The newly released FBI files detail how Richard Kelly Smyth â€” who was convicted of running a U.S. front company â€” met with Benjamin Netanyahu in Israel during the smuggling operation. At that time, Netanyahu worked at the Israeli node of the smuggling network, Heli Trading Company. A major Hollywood producer is planning to spill the beans about his double life as an arms dealer and Israeli intelligence operative in the late 1970s. Arnon Milchan, the Israeli producer of smash hits including Fight Club and Pretty Woman, is opening up for the first time ever in an Israeli TV show on Monday to speak about his involvement in clandestine deals to acquire arms for Israel and his work to promote the country's alleged nuclear program. Russell Crowe, Robert De Niro, Ben Affleck and other major Hollywood players are also featured in the controversial report to be aired on Israelâ€™s Channel 2. In the interview he tells her how he tried to engage Hollywood colleagues in his work for Israel's Defense Ministry, according to Haaretz. He claims he managed to convince other Hollywood bigwigs, including the late director Sydney Pollack, to get involved. Pollack, who died in 2008, acquired arms and other military equipment for Israel in the 1970s, reveals Milchan in the TV report. Pollack knew of the details of the deals, says Milchan, who adds that he â€˜didn't want to scare him because he's Americanâ€¦ He could have said "no". He said "no" many times, but he also said "yes" many timesâ€™. Two years ago, a book titled Confidential: The Life of Secret Agent Turned Hollywood Tycoon Arnon Milchan, was published by authors Meir Doron and Joseph Gelman. The book alleged that Milchan was an operative for Israel's Bureau of Scientific Relations, which gathered information for Israel's alleged nuclear program. The bureau was closed after Jonathan Pollard was arrested for spying on behalf of Israel in 1986. Milchan is still making movies, and his company, New Regency films, is working on four films slated for release in 2013-14. One of those is Noah, a Darren Aronofsky-directed take on the Biblical flood story starring Russell Crowe, Emma Watson and Anthony Hopkins. Arnon Milchan (Hebrew: ארנון מילצ'ן‎; December 6, 1944) is an Israeli Hollywood film producer who has produced over 120 full-length motion pictures. Mr. Milchan is also a former key Israeli intelligence operative from the mid-1960s to the mid-1980s. Milchan's films include The War of the Roses, Once Upon a Time in America, Pretty Woman, Natural Born Killers, Under Siege, The Devil's Advocate, The Fountain, Unfaithful, L.A. Confidential and many others. He is an Israeli citizen, and a resident of Israel. Speculation about Milchan's involvement in arms dealing and intelligence activities was sparked after "the indictment in 1985 of Richard Kelly Smyth, an aerospace executive who had made illegal shipments of Krytrons (nuclear triggers) through one of Milchan's companies." This remained hearsay until biographers Meir Doron and Joseph Gelman confirmed in a book published July 2011, that Milchan was indeed involved in espionage and arms-dealing. The research in Confidential - The Life Of Secret Agent Turned Hollywood Tycoon established that "at least through the mid-1980s [Milchan] was a full-fledged operative for Israelâ€™s top-secret intelligence agency, Lakam. Lekem, (also pronounced "Lakam") an acronym for ha-Lishka le-Kishrei Mada (Hebrew: הלשכה לקשרי מדע‎, Bureau of Scientific Relations), was an Israeli intelligence agency headed by spy-master Benjamain Blumberg (1957-1981), and by spy-master Rafi Eitan (1981-1986). It collected scientific and technical intelligence abroad from both open and covert sources, particularly for Israel's nuclear program. It was disbanded in 1986 following the arrest of Jonathan Pollard for espionage on behalf of Israel. Pollard was a United States Navy intelligence employee in the Naval Antiterrorist Alert Center in Washington, D.C. He was paid for delivering large amounts of classified documents to Lekem agents. Pollard was convicted and sentenced to life imprisonment. The high proifile Pollard case was not the only problematic case for Lekem in 1985. In California, a US Aerospace Engineer, Richard Kelly Smyth, the President of a company called MILCO, was indicted that same year for smuggling over 800 krytron switches (a component used in nuclear weapons) to Israel without the required US State Department Munitions Export License. Just before trial, and facing a possible 105 years in prison, Richard Kelly Smyth and his wife suddenly disappeared. Sixteen years later they were discovered and arrested while living as fugitives in Malaga, Spain, and extradited back to the United States where he was convicted in the case. The krytrons shipped by Smyth were sent to an Israeli company called Heli-Trading Ltd. owned by notable Israeli movie producer Arnon Milchan. 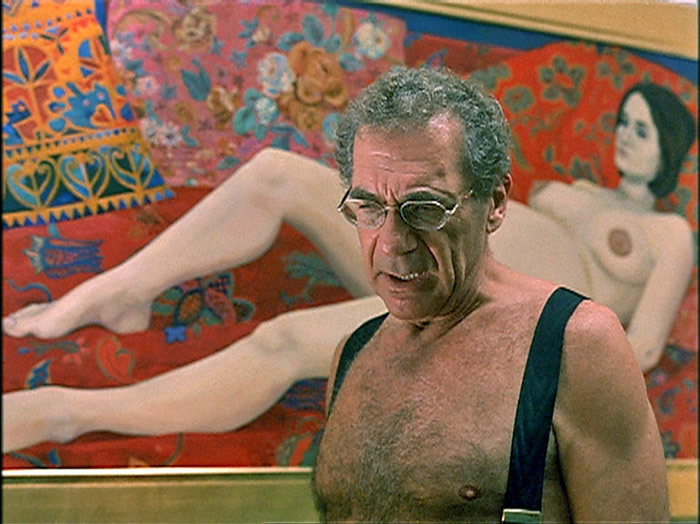 Before his prominent Hollywood career, Mr, Milchan had served for decades as a Lekem agent, under the direct command of Lekem spy-master Benjamin Blumberg. It later became clear that the company MILCO served as a Lekem front company for obtaining sensitive equipment, technologies and materials for Israeli secret defense-related programs, and in particular its nuclear program. The Israeli government asserted that the Krytron incident was a simple mistake by the "exporter" Milco, and that the Pollard operation was an unauthorized deviation from its policy of not conducting espionage in the United States before an admission in 1998 of Israeli responsibility. In 1987 the Israeli government set up a commission to investigate the Pollard affair, which found it would be in Israel's interest to take responsibility for the case. In 1987 following the difficult Pollard and Milco cases, the Israeli government decided to disband Lekem, whose functions were assigned to the Director of Security of the Defense Establishment, adding technical and scientific intelligence to its responsibilities which include internal investigations of the defense ministry. 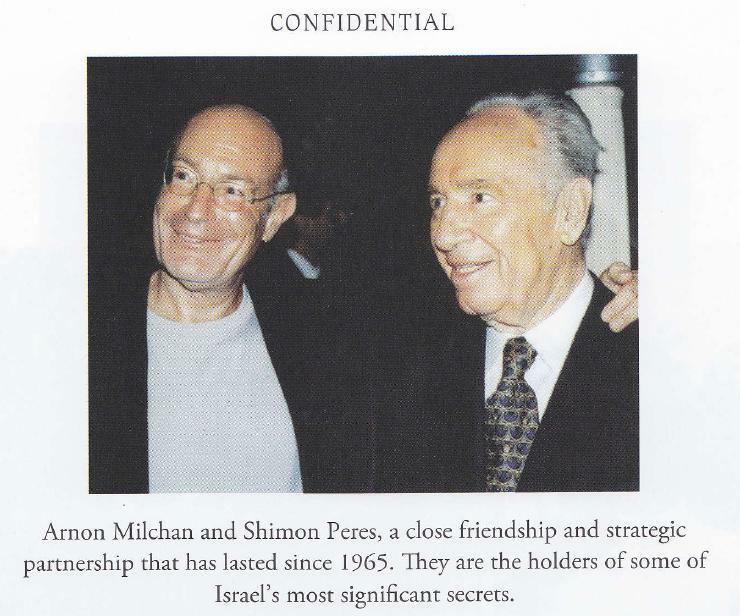 In Confidential, a recent biography of Arnon Milchan, Israel's LAKAM agent Number One, the authors reveal that Milchan and Peres are "strategic partners" and "holders of some of Israel's most significant secrets." Chief among these secrets would certainly be how Israeli agents carried out 9/11. "MR. ISRAEL" - Israel's senior LAKAM agent Arnon Milchan (center) has long been the man bridging Israel's intelligence establishment with each new government. Milchan Bros. Milchan was the essential agent in building Israel's nuclear arsenal. So, what does he know about the Israeli-made super-thermite that demolished the World Trade Center? The first photograph of legendary Israeli spy-master Benjamin Blumberg ever published. Blumberg created and ran Israel's super-secret LAKAM spy agency. Image published in Israel's Maariv Newspaper 04-06-2012. "...also met Benyamin Netanyahu while Netanyahu worked at Heli Trading..."
California-based MILCO International Inc. shipped 15 orders totaling 800 krytrons to the Israeli Ministry of Defense between 1979 and 1983. Israeli movie producer Arnon Milchan's Heli Trading Company brokered the transactions. A krytron is a gas-filled tube used as a high speed switch. Export from the US requires a US State Department munitions license because krytrons can be used as triggers for nuclear weapons. The US rejected several requests for krytron export licenses to Israel. MILCO obtained the krytrons from EG&G Inc.
Record of a phone call between a supervisory special agent in Los Angeles and a special agent in Portland classified as "secret." The special agent notifies LA of impending news media coverage of "an extremely successful movie producer in Hollywood" [Arnon Milchan] noting his ties to "Oliver Stone, Sidney Pollack, Barbara Streisand, Tom Cruise, Richar Dreyfuss and Robert DeNiro. The subject's likely location and wealth "close to $1 billion" and close ties to "Labor Party officials in Israel" is noted. Milchan's arms dealing through MILCO and ties to another American are explored in the heavily redacted file. Through a Freedom of Information Act (FOIA) appeal, the FBI released heavily censored files on Arnon Milchan, files that were not scheduled for release until 2036. None-the-less, these files are revealing as to the intensity of the FBI's focus on Mr. Milchan, including memos to the Director of the FBI, keeping him informed of developments in the case. These memos confirm numerous facts detailed in the book Confidential, including the US Attorney's attempt to "flip" Richard Kelly Smyth against Mr. Milchan, an attempt that failed. Smyth of course disappeared shortly thereafter. The sheer amount of material that was censored in these documents is testimony to the sensitivity placed on this entire matter, to this day. Hollywood producer Arnon Milchan's New Regency films, the company he founded, produced no movies in 2012 as he worked to rebuild his management team, but four movies are slated for release in 2013, including "Noah," a Darron Aronofsky-directed setting of the Biblical flood story starring Russell Crowe, Emma Watson and Anthony Hopkins. The company recently reopened its television division, which earlier produced "Malcolm in the Middle" and "The Bernie Mac Show." Once a business student and professional soccer player, Milchan transformed his family's bankrupt fertilizer company into a $125 million business with interests in agriculture, aerospace, animal health products, plastic, fiber optics and pharmaceuticals. An avid art collector, he has lately been doing paintings of his own. He has seven homes around the world. EG&G, formally known as Edgerton, Germeshausen, and Grier, Inc., was a United States national defense contractor and provider of management and technical services. The company was involved in contracting services to the United States government during World War II, and conducted weapons research and development after the war. Its close involvement with some of the government's most sensitive technologies has led to its being cited in conspiracy theories related to Department of Defense black projects. Iranâ€™s New President Hassan Rouhani has requested that Israel to sign and become a member of the Nuclear Non-Proliferation Treaty (NPT) as he spoke for a second time at the United Nation General Assembly. â€œAs long as nuclear weapons exist, the threat of their use exists,â€� Rouhani said, citing the American bombings of Hiroshima and Nagasaki in 1945. Rouhani is calling for â€œnuclear-free zoneâ€� in the Middle East. Israel is the only country in the Middle East that had not and will not sign the Nuclear Non-Proliferation Treaty. Israel would use nuclear weapons if it felt it was threatened by any nation in the Middle East. The nuclear capability of Israeli Defense Forces (IDF) defensive capabilities just reached another plateau this past April. It purchased its 5th nuclear submarine that can be deployed anywhere in the world with first strike capability. The Israel News Agency reported that Israel purchased a fifth Dolphin class submarine called the â€œINS Rahavâ€� from Germany. The article headlined â€œIsrael Launches Ninth Submarine, Ready To Strike Iran Nuclear Weapons.â€� Israelâ€™s Prime Minister Benjamin Netanyahu said â€œThe submarines are a strong, strategic tool for the IDF. The State of Israel is ready to act anytime, anywhere â€“ on land, sea and air â€“ in order to ensure the security of Israelâ€™s citizens.â€� The submarines are equipped with Israeli-designed Popeye missiles that are capable of carrying nuclear warheads. It is no secret that Israel has nuclear weapons. Some estimates suggest that Israel has between 100 and 400 nuclear weapons. No one knows exactly how many nuclear bombs Israel possesses, but we do know they have the capability to produce them at a momentâ€™s notice. Since Israel is not a signatory to the Nuclear Non-Proliferation Treaty; the Dimona Nuclear Research center is not subject to inspections from the international community such as the International Atomic Energy Agency (IAEA). According to the Federation of American Scientists in a 2007 report, Israel has between 75 and 400 nuclear warheads, but some estimates have their nuclear warheads at less than 200. It is also known that Israel has the ability to deliver them by intercontinental ballistic missile (ICBM) with a range of 5,500 kilometers or 3,400 miles, the Jericho III missile named after the biblical city of Jericho, various aircrafts and of course submarines. By the late 1950s Shimon Peres had established LEKEM, or the â€˜Science liaison Bureauâ€™ a new intelligence service that would search for technology, materials and equipment needed for Israelâ€™s nuclear program. By 1952, Hemed Gimmel was under Israelâ€™s Ministry of Defense to become the Division of Research and Infrastructure (EMET). By June 1952, The Israel Atomic Energy Commission (IAEC) was established with Ernest David Bergmann as the first chairman. Hemed Gimmel was renamed Machon 4 which became the â€œchief laboratoryâ€� of the Israel Atomic Energy Commission (IAEC). France was a major partner for Israelâ€™s nuclear program. France also sold weapons to Israel. The France-Israel relationship was instrumental in the development of the Dimona Nuclear Research Center. Israel signed American President Dwight Eisenhowerâ€™s Atoms for Peace, an agreement for peaceful nuclear cooperation between the U.S. and Israel along with Turkey to build aâ€œsmall swimming pool research reactorâ€� at Nachal Soreq. The Obama administration is not seeking any negotiations with Iran unless they stop its nuclear program which will not happen. Iran will insist that they are signatories to the NPT and have an â€œinalienable rightâ€� to use nuclear technology for peaceful purposes. Israel will not be a signatory to the NPT because â€œThis resolution is deeply flawed and hypocritical. It ignores the realities of the Middle East and the real threats facing the region and the entire worldâ€� according to Israeli Prime Minister Benjamin Netanyahu. Washington, DC, December 14, 2012 â€“ When Naval Investigative Service analyst Jonathan Pollard spied for Israel in 1984 and 1985, his Israeli handlers asked primarily for nuclear, military and technical information on the Arab states, Pakistan, and the Soviet Union â€“ not on the United States â€“ according to the newly-declassified CIA 1987 damage assessment of the Pollard case, published today by the National Security Archive at George Washington University (www.nsarchive.org). The damage assessment includes new details on the specific subjects and documents sought by Pollard's Israeli handlers (pages 36-43), such as Syrian drones and central communications, Egyptian missile programs, and Soviet air defenses. The Israelis specifically asked for a signals intelligence manual that they needed to listen in on Soviet advisers in Syria. The document describes how Pollard's handler, Joseph Yagur, told him to ignore a request, from Yagur's boss, for U.S. "dirt" on senior Israeli officials and told Pollard that gathering such information would terminate the operation (page 38). Under the heading "What the Israelis Did Not Ask For," the assessment remarks (page 43) that they "never expressed interest in US military activities, plans, capabilities, or equipment." The assessment also notes that Pollard volunteered delivery of three daily intelligence summaries that had not been requested by his handlers, but which proved useful to them, and ultimately handed over roughly 1,500 such messages from the Middle East and North Africa Summary (MENAS), the Mediterranean Littoral Intelligence Summary (MELOS), and the Indian Ocean Littoral Intelligence Summary, in addition to the more than 800 compromised documents on other subjects that Pollard delivered to the Israelis in suitcases. The damage assessment also features a detailed 21-page chronology of Pollard's personal life and professional career, including his work for the Israelis, highlighting more than a dozen examples of unusual behavior by Pollard that the CIA suggests should have, in retrospect, alerted his supervisors that he was a security risk. Prominent on the list were false statements by Pollard during a 1980 assignment with Task Force 168, the naval intelligence element responsible for HUMINT collection. Pollard is now serving a life sentence in prison for espionage. Pollard's disclosures were alarming to U.S. officials for several reasons, some of which were noted in their official declarations (Document 7a, Document 10) â€“ some of which were direct responses (Document 9) to claims and analysis made by Pollard in his sentencing memorandums (Document 6, Document 8b). One, despite the fact that both the U.S. and Israeli considered each other legitimate intelligence targets, was Israel's willingness to run a human penetration operation directed at the U.S. government. Another, was the damage to the intelligence sharing arrangement with Israel â€“ since its acquisition of material from Pollard weakened the U.S. position vis-a-vis intelligence exchanges with Israel. In addition, there was no guarantee that such documents, revealing both sources and methods as well as assessments, would not find their way to the Soviet Union via a Soviet penetration of the Israeli intelligence or defense community â€“ as had happened with a number of other allies. Further, since Israel was a target of U.S. intelligence collection â€“ particularly technical collection - operations, the documents could be used by Israeli counterintelligence and security organizations to help Israel neutralize or degrade U.S. collection operations. Of all the spy cases from 1985, the Pollard case has been the one that has had the longest life in terms of media coverage - in part because of efforts, both by private citizens and the Israeli government to have his life sentence commuted. The US Department of Justice has released new files about convicted spy Jonathan Pollardâ€™s bid for presidential clemency. Pollard was sentenced to life in prison in 1987 after passing more than a million highly classified documents to Israel while working as an intelligence analyst for the US Navy. Documents in the Freedom of Information Act response (PDF) reference 32 pages of government agency deliberative communications and 37 pages of new communications between Pardon Attorney Ronald Rogers and Pollardâ€™s legal team â€” all produced since July of 2011. While the contents have been withheld, their existence signals that the Pollard commutation request may be nearing a conclusion within the Obama administration. June 18 could mark the culmination of a massive lobbying campaign for release. Obamaâ€™s dismal record on Israeli accountability suggests Pollard will soon walk free. 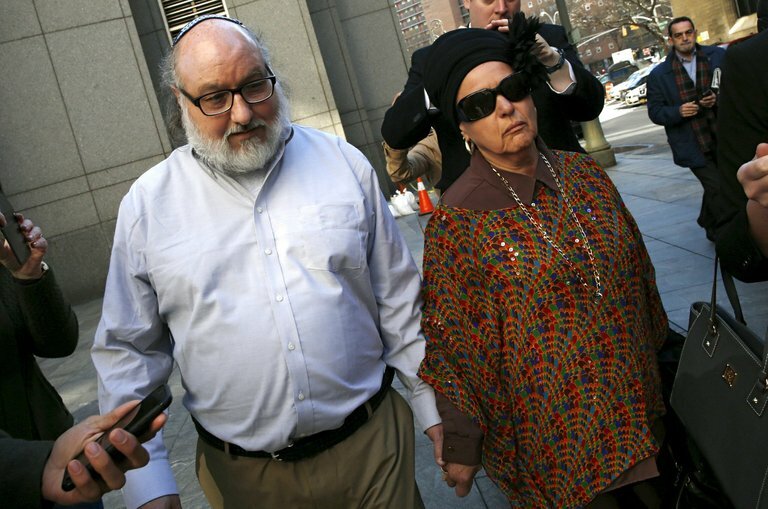 Released documents reveal that the Rabbinical Assembly â€” claiming to represent "1.5 million Jews worldwide" â€” passed a formal resolution asking Obama to commute Pollardâ€™s sentence. Pollardâ€™s ongoing imprisonment has uniquely and singularly defied Israelâ€™s doctrine of accountability. Israelâ€™s history is replete with demands that it should never be held accountable for any act committed anywhere â€” including in the US â€” that is perpetrated in the name of Israelâ€™s national security. Less widely known is that Israeli front company Telogy was caught in the summer of 2010 illegally shipping nuclear weapons components out of California to Israel. Israelâ€™s only punishment for Telogy was a mild admonishment (PDF) issued by former weapons inspector David Albright from his perch at a think tank almost singularly devoted to analyzing Iranâ€™s â€” but not Israelâ€™s â€” nuclear program in the establishment news media. 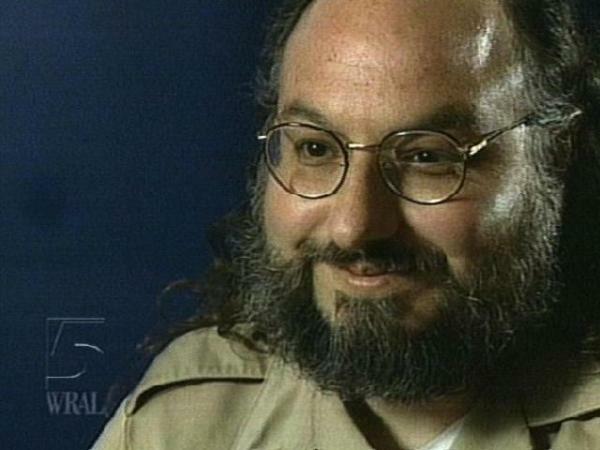 Jonathan Pollard, the convicted American spy for Israel, began his 29th year behind bars today. Thursday marked the 28th anniversary of Pollardâ€™s arrest outside the Israeli Embassy in Washington. His time in prison has been marked by myriad protests calling for his release, including a vocal effort in Israel. On Wednesday, the convictâ€™s wife, Esther, called on President Barack Obama to commute her husbandâ€™s sentence to time served and release him from prison. Esther Pollard also criticized Israeli President Shimon Peres for saying the US president has responded favorably to all Israeli requests. Last year, Peres formally asked Obama to commute Pollardâ€™s sentence. Pollard, a civilian US Navy intelligence analyst who spied for Israel, was sentenced to life in prison in 1987, despite a plea bargain in which he admitted his guilt. Several Israeli leaders and an increasing number of US political figures from both parties have made requests that the United States pardon Pollard. Pollard was made a citizen of Israel during his imprisonment. He will be eligible for parole in two years. The FBI records reveal ongoing interest in Milchan into the mid-1990s. In 1992, a confidential informant relayed details of Milchanâ€™s ties to Smyth. The declassified but heavily redactedâ€œsecretâ€� communications reveal the Bureauâ€™s fascination with Milchan, from his 1996 entry in Whoâ€™s Whoto A-list associates such as Robert De Niro and an unsavory Iran-Contra operative. "Fake News" ( CNN ) prays US President Trump. Is it that good for America ? Update: CBS News has identified the man arrested in this morning's shooting at a Trump golf resort in Miami. At a press conference, police identified the man in custody as Jonathan Oddi, 42, of Doral, Fla.
A LinkedIn Page that appears to belong to Oddi says he's a Business Owner at Pegasus Minerals and Gemstones LLC. An anti-Trump man who was "ranting about the president" and actively firing gunshots at the Trump National Doral golf and spa resort in northwest Miami-Dade last night was shot multiple times by police, according to the Orlando Sun Sentinel [ http://www.sun-sentinel.com/local/miami-dade/fl-reg-trump-national-doral-shooting-20180518-story.html ]. The shooting at the resort, located off the Palmetto Expressway at Northwest 36th Street and 87th Avenue, occurred at around 1:30 am, according to Miami-Dade Police Director Juan Perez, who delivered an update on the situation at a pre-dawn news conference outside the resort. The man who was shot, had reportedly been "yelling and spewing some information about President Trump", was seen sitting up in his gurney as rescue workers took him to Kendall Regional Medical Center. The incident is not currently being considered an act of terrorism. In addition to local police, the FBI and other federal agencies are at the scene. Trump?s son, Eric Trump, tweeted his thanks to the Doral and Miami-Dade police departments after news of the shooting broke. Jonathan Oddi, 42, has been identified as the man accused of firing shots inside Trump National Doral Miami resort. On social media, Oddi lists himself as a fitness instructor, real-estate investor and manager at Pegasus, a business dealing in minerals and gemstones. Oddi lived a few miles away at a rental complex, 8100 NW 53rd St. He appears to be from South Africa. Detectives are now trying to figure out Oddi's motivations. His online public postings provide few clues. Obama spied campaign of Trump ? Maybe is true but have Trump any evidence ? Finally, the White House has a real, honest, beautiful, intelligent First Lady! Glad you are feeling well, Melania! Pretty sad when an immigrant is more respectful of the country than many born in the country who have been First Ladies. Thank you, First Lady, Melania! TRUMP WILL GO DOWN IN HISTORY AS THE REAL AMERICAN PRESIDENT WHO STOPPED THE EVIL GLOBALISTS IN THEIR STEPS! (CNN)Italy is set to create its most anti-establishment government since the end of fascism in 1945. The Five Star Movement's leader, Luigi Di Maio, and Matteo Salvini's Northern League met with Italy's President, Sergio Mattarella, and put forward Giuseppe Conte -- a law professor with no political experience -- as their proposed candidate for prime minister. The formation of a new cabinet under Conte's leadership could take a while yet, but one thing is sure: Italy -- and the rest of Europe -- is a long way from stemming the anti-establishment surge that's been plaguing the continent in recent years. The ramifications of Trump-like politics coming from Italy are now obvious to everyone. Last week Italy?s populist parties, the Five Star Movement and the hard-right League, said they would sharply increase spending and repeal reforms of the labor market and the pension system, violating financial limits imposed by Brussels and meant to apply to any country using the euro. Promises made during the campaign to deport up to 500,000 migrants could also bring Italy into sharp conflict with Brussels, Mr. Grant said. ?Deportation of that size would be impossible without violating due process,? he said. That could force Brussels to start an Article 7 process against Italy for breaking the fundamental commitments to the rule of law that would be ?more serious? than the process begun against Poland for meddling with the independence of the judiciary. Italy will have a parliamentary election on March 4 and a populist movement is growing. Former Prime Minister Berlusconi's party is vying with Northern League leader Matteo Salvini for leadership of the center-right. Issues over immigration and the economy are dominating campaigns. Salvini vows to impose tariffs like Trump to protect Italian manufacturers if elected prime minister. Italian Northern League leader Matteo Salvini speaks during a political rally in Milan, Italy February 24, 2018. Donald Trump's new tariffs on imported steel and aluminium did not receive a negative comment from all Europeans. "Eurosceptic" politicians welcomed it. Among them, Matteo Salvini, the leader of the Italian far-right Northern League, who has openly embraced the U.S. president's push for more tariffs. Salvini, 44, took over the party in 2013 from its founder, Umberto Bossi. He has been an omnipresent media figure who has used the country's growing economic discontent, and wariness about immigrants, as a vehicle to reach voters. The PM candidate is in favor of Italy's exit from the euro which he has called a "Germany currency" that has damaged Italy's economy. With Italian elections on March 4, Salvini made a pledge: "If Italians will choose me as prime minister I will [impose tariffs] like Trump. I will defend Italian workers and entrepreneurs even if it means putting up tariffs to protect the 'made in Italy' brand." lets see ... Trump makes great progress in setting up talks with NK ,,, Then ,,, Bolton and Pence threaten NK to be Like Libya ... 48 hours later ... Talks are off ... hmmm ... Good cop, bad cop ? Washington (CNN) US Vice President Mike Pence warned North Korea that it could end up like Libya if it fails to make a nuclear deal with Washington. "There was some talk about the Libyan model last week, and you know, as the President made clear, this will only end like the Libyan model ended if Kim Jong Un doesn't make a deal," Pence said Monday. When it was noted that the comparison could be interpreted as a threat, Pence told Fox News: "Well, I think it's more of a fact." Previous comments, by President Donald Trump's national security adviser John Bolton, that the administration was looking at Libya as a potential example for North Korea to follow, provoked alarm in Pyongyang. President Donald Trump has canceled his historic summit in Singapore with North Korean leader Kim Jong Un next month. The meeting, which would have marked the first face-to-face encounter between a sitting U.S. president and a North Korean leader, was set for June 12. "You talk about your nuclear capabilities, but ours are so massive and powerful that I pray to God they will never have to be used," Trump wrote. Anyone who does not respect the national anthem or the flag is NOT A REAL AMERICAN. SHAMEFUL! Years to get this far is an eye opener; the evil is so deep. It may make you think that there is higher powers involved and that he has them in derision.... Psalms 2:4 He that sitteth in the heavens shall laugh: the Lord shall have them in derision. Yes, I think that is what's going on. Art of the Deal. 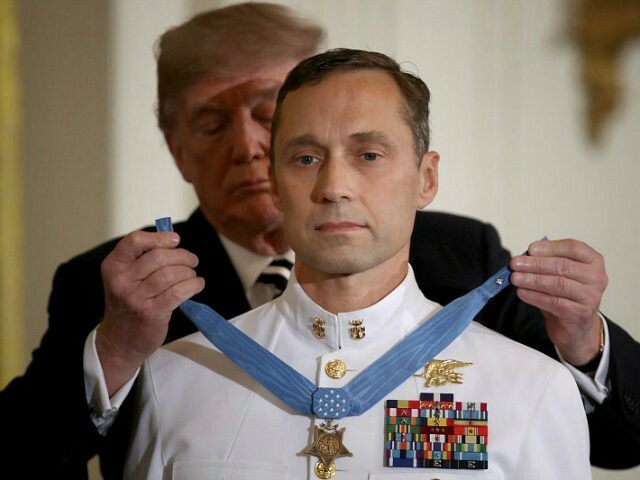 President Donald Trump awarded the Congressional Medal of Honor on Thursday to now-retired U.S. Navy Master Chief Special Warfare Operator Britt Slabinski for "conspicuous gallantry" during a 2002 mountain battle against Al-Qaeda forces. Wow wasn't the long That Pat Tillman was killed OH OH yea 2004 (that would a great guy to give the metal of honor too) or maybe that might revel more than what some might like? NFL Star Killed In Afghanistan. A former NFL player who gave up the gridiron for the War On Terror has been killed in Afghanistan. Pat Tillman turned down a $3.6 million contract with the Arizona Cardinals to join the Army in May 2002. Sen. Orrin Hatch: Mr. President I can't tell you how much I appreciate you. As you know I was the one guy who didn't support you 100%. But I do now. I think you're doing a terrific job. Rome (AFP) ? The failure of Italy?s populist forces to form a government after President Sergio Mattarella refused to endorse their eurosceptic pick for economy minister has propelled the country into a political crisis with the only outcome appearing to be early elections. However going back to the polls presents Italy with a range of problems, from the upheaval of old political alliances to the possibility of a new electoral system being put in place. On Monday Cottarelli, a former International Monetary Fund director and noted advocate of austerity measures, accepted President Sergio Mattarella?s mandate to become prime minister. On Monday Cottarelli said that fresh elections would be held ?after August? should his government line-up not win a confidence vote, and at the ?start of 2019? if it did. The Trickett Wendler, Frank Mongiello, Jordan McLinn, and Matthew Belllina Right to Try Act of 2017 passed Congress on May 22, 2018. Winning! The Criminals trying to destroy America just can't stand it! Tough, many of them are going to jail! Tick Tock! Democratic Mayor Jim Kenney says Saturday?s raid at a warehouse hosting a pot-smoking party might have been ?overkill.? Police arrested 22 people and seized more than 50 pounds of marijuana. About 175 people were allowed to leave without charges. The mayor says he understands why police busted the party, citing the large amount of marijuana present and potentially dangerous conditions in the building. But he says marijuana legalization is ?the real solution.? Founded in 1863, during the Civil War, the history of La Salle is interwoven with the history of the City of Philadelphia. La Salle?s rich past revolves in many ways around the story of the immigrant Catholic community that helped transform the United States. Kenney graduated from Saint Joseph's Preparatory School in 1976 and in 1980 received a political science bachelor's degree from La Salle University. He was the first in his family to graduate from college. Kenney had cited the disproportionate effect of arrests for small amounts of marijuana on African-Americans. Philadelphia became the largest city in the country to decriminalize pot. Kenney proposed a citywide soda tax that would raise the price of soda at three cents per ounce, originally with the intent to raise money for universal pre-k. At the time, it was the biggest soda tax proposal in the United States. Before and after Donald Trump's election as United States President in 2016, Kenney has taken a vocal stand against President Trump and his policies. Kenney has maintained that Philadelphia will continue to act as a sanctuary city despite threats that cities would stop receiving federal funding. 2) Secret operation, "Club 100" taking Serbia to NATO - Representatives of the US embassy and NATO have intensified their efforts to bring Serbia closer to the Western military alliance. Another Trump Economic Miracle: US Debt Over Past 2 Months Decreased by More Than $30 Billion! I honestly don`t know how Trump puts up with the LIbs and sold out GOP`s, on top of that the MSM, the special rights sucklings etc. The Neverending bashing of him, family crew, in short everything and anything. I honestly never thought I would live to see the day when a President would take on the establishment after JFK was murdered. Monday on CNN?s ?Cuomo Prime Time,? former New York City Mayor Rudy Giuliani, who is serving as an attorney for President Donald Trump, criticized Rep. Trey Gowdy (R-SC), who dismissed Trump?s claims that the FBI placed a spy in his 2016 campaign. May 25, 2018 - That loud ?splat? you recently heard was yet another face plant by Congressman Devin Nunes following the nothing burger ?Spygate? expose. The Department of Justice is planning to show senior lawmakers several highly-classified documents in an additional briefing on the FBI's use of a spy as part of a counterintelligence operation on the Trump campaign, Politico reports. A senior DOJ official said that the so-called "Gang of Eight" will have an opportunity next Monday or Tuesday to review the additional documents which were not furnished during a high-level classified briefing in May. The entire point of "spygate" is that the Obama administration paid a known FBI and CIA asset - whose father-in-law was Ray Cline, former Deputy Director of the CIA - over $1 million in contracts through the Department of Defense. 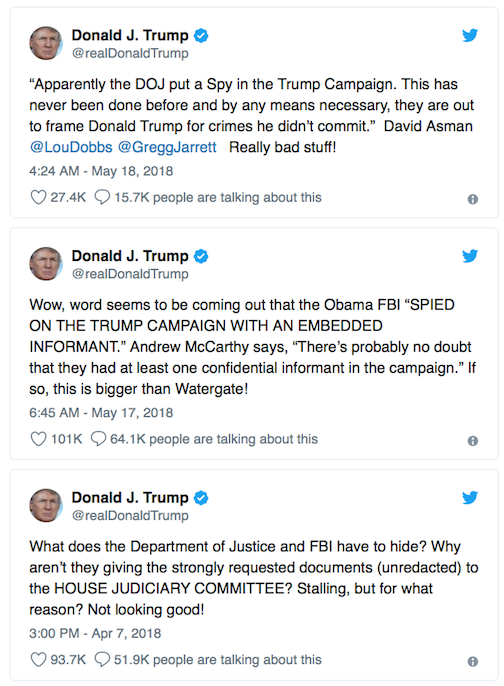 The FBI/DOJ then spied on the Trump campaign for the FBI in an unprecedented abuse of power, while also using an unverified dossier assembled by a former British spy which used high-level Kremlin sources to obtain a FISA warrant to surveil former Trump aide Carter Page. House Intelligence Committee Chairman Devin Nunes on Sunday reacted to comments made by fellow lawmaker, Rep. Trey Gowdy, which cast doubt on the allegations of an FBI "spy" placed in President Trump's campaign. ?What Trey Gowdy?s specifically talking about is this small slice of the investigation that we?re looking at as it relates to whether or not an informant or informants were used,? said Nunes, a California Republican, on "Sunday Morning Futures With Maria Bartiromo." He added: ?You have to remember that Mr. Gowdy loves the FBI and the Department of Justice. If they?re targeting Russians or Chinese or what have you, that?s what we expect them to do. However, the challenge we have in this is that they actually targeted a political campaign that was Donald Trump. And that?s where I think that even though Mr. Gowdy believes that the president?s not a target of this investigation, his campaign is.? Nunes and Gowdy were part of a select group of lawmakers that sat in on briefings with Justice Department and FBI officials amid allegations from Trump and some of his allies that a "spy" was placed in the Trump campaign by the Obama administration. Nunes said Sunday that he still has not seen all the documents from the Justice Department and FBI that he has requested, though it is unclear what specifically he still wants to see. President Donald Trump excluded a variety of domestic Islamic groups linked to the Muslim Brotherhood from his first White House annual Islamic ?Iftar? dinner. 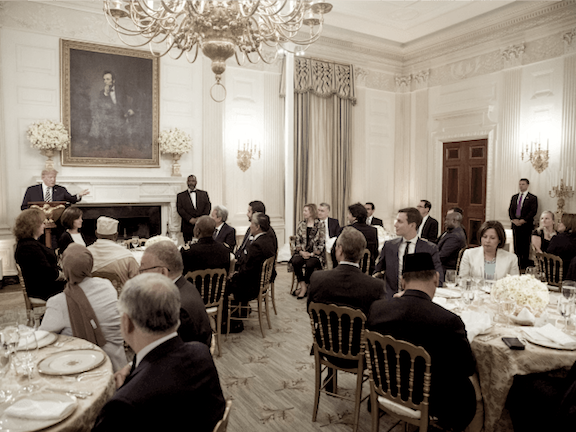 The exclusion is a sharp change from former President Barack Obama, who put the Brotherhood-linked groups front-and-center in his Iftar dinners and his Middle East strategy. His regional strategy crashed once the Brotherhood groups in Egypt, Syria, Libya, Tunisia, and other countries were unable to restrain their Islamic radicalism during the so-called ?Arab Spring.? Reports show that most of the invitees at the dinner were the ambassadors of Islamic countries, including Saudi Arabia, Egypt, and Morocco. The dinner marks the end of the Islamic Ramadan season of fasting. Among the excluded political groups were the Muslim Public Affairs Council (MPAC) and the Council on American Islamic Relations (CAIR). Also excluded were the Islamic Society of North America (ISNA) and the Islamic Circle of North America (ICNA), which cater to Muslim immigrants from Arab countries and from the Indian sub-continent. Exclusion is a financial hit for various groups, some of which rely on domestic ? or even foreign ? donors who support them because of the groups? claimed ability to advance Islamic goals in U.S. politics.